Yogurt is a nutritious addition to a healthy diet and an excellent way to meet your calcium needs, boost your immune system, and aid in your weight-loss efforts! 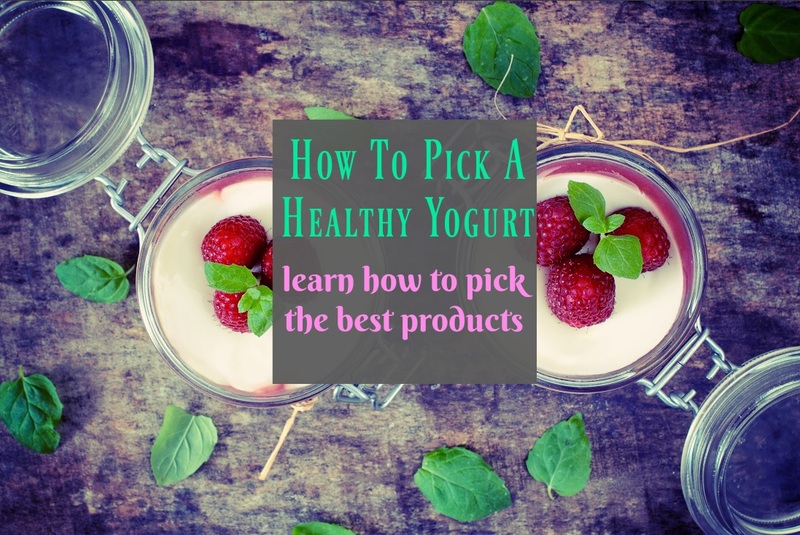 There are so many different varieties to choose from and health promises to decipher through, that it’s no wonder I get so many questions about how to pick a yogurt! 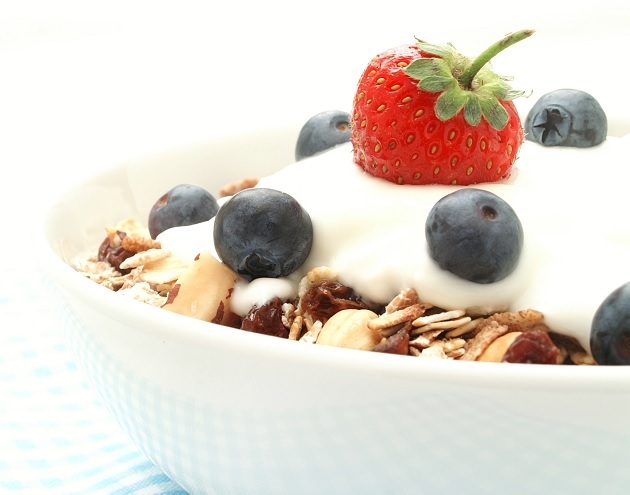 Plus, we all know that PLAIN yogurt has the most nutritional value but (dare I say…) what if you just don’t like it??! So I am here to help you learn how to pick the best products! Just like any other product, the longer the ingredients list, the lower the nutritional value of the yogurt. In fact, some yogurt provide more calories from added sweeteners than the actual yogurt! A cup of nonfat milk contains ~90 calories. So if yogurt has more than 150 calories per 6oz…keep browsing! Also, there should be at least 35-40% calcium per 8 oz serving. Any less and you are probably looking at a yogurt with lots of fillers and other additives. 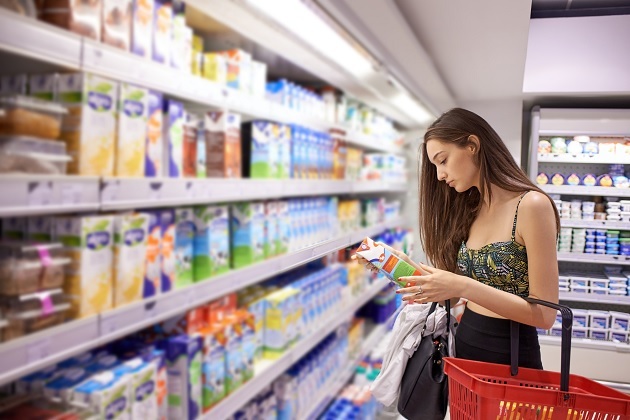 This is a tricky one because ALL milk products contain some natural sugars and there is a difference between ADDED sugars and NATURALLY occurring sugars. For instance, one cup of regular milk contains ~12 grams of naturally occurring sugars per cup. So even plain yogurts will contain sugar. However, with the flavored varieties, added fruits and other sweeteners will increase the sugar content. The confusion lies in that the naturally occurring sugars are not separated from the added sugars. So my suggestion is to try to steer clear of yogurt containing more than 30 grams of sugars per CUP (keep in mind MOST yogurt servings are 4-6oz so 15-24 grams of sugar is a decent range for the little yogurt cups). The highest quality yogurt will be those containing “probiotics” or live cultures to promote better gut health, cellular immunity, and increase good cholesterol. Look for bacteria like L casei, L Acidophilus, or B Bifidum,which have been well studied and are shown to benefit your digestive system OR look on the label for Live Active Cultures or Living Yogurt Cultures. There are some foodies out there that will not go near the stuff and others that want you to use artificial sweeteners for just about everything. As a dietitian, I do believe sweeteners can be a part of a healthy diet, as long as the other staples in your diet are not also artificially sweetened. For myself, I DO occasionally buy Weight Watchers yogurt when there are no yogurt sales. BUT, since I rarely consume artificial sweeteners in any other product, I feel that this MODERATION is okay. Organic yogurt means that the curd does not contain pesticides, hormones, antibiotics, and preservatives. These days, pesticides and other man made chemicals have even been found in breast milk! So it’s obvious that these residues show up in low concentrations in cow’s milk. Go organic with the foods you consume MOST. I eat ALOT of yogurt, so that is something I like to eat organically. But if you hardly eat yogurt, then it might not be your priority. *suggested for review by Healthy Apron Fans! *Love the taste, more reasonably priced than the Greek varieties, organic, higher in sugar but still reasonable. Six live active cultures! Highly recommend this brand, as it is readily available at most grocery stores and CAN be more affordable than other organic yogurt. *Low in calories and sugar and very high in protein! Five live active cultures! An excellent choice if you can afford it! It was $2.29 at Kroger yesterday for a small 7 oz container! Yikes. *Great flavor, but higher in calories (170 calories per 6 oz container) and sugar (33g per container), sweetened with high fructose corn syrup (HFCS), contains live active cultures, but still not highly recommended by me as I try to stay away from high fructose corn syrup and it does not meet the guidelines I suggest. *Low in calories but sweetened/colored with controversial ingredients; aspartame, acesulfame K, Red 40, Blue 1. The Center for Science in the Public Interest (CSPI) recommends to avoid products containing acesulfame K and aspartame and use caution with artificial coloring like Red 40 and Blue 1. Recommended only if you do not consume yogurt regularly and are more of a milk person. *Good flavor, low in calories, and sweetened with sucralose (Splenda), which is considered safe, according to CSPI. However, use in moderation as it does contain Red 40 and Blue 1 which are cautioned against. I would recommend this brand OKAY for an artificially sweetened yogurt! *I will admit, I LOVE the taste of this yogurt and it is low in calories. However, HFCS is an ingredient I avoid and I do not like how it is also sweetened with aspartame and colored with Red 40 and Blue 1. Not recommended unless you consider it an occasional treat (like I do!). What is your favorite yogurt variety?